But while young Indians feel that freezing of human egg is a smart move for career-oriented women, social stigma continues to be attached to the new-age fertilisation process, say medical experts. Egg freezing is still not very popular in India, said Shobha Gupta, medical director and IVF Specialist at Mother's Lap IVF Centre. "People in India still open their eyes wide if they hear such things, especially in joint and conservative families. On the other hand, IVF has been accepted widely in India, but egg freezing is yet to gain approval or social acceptability in India," Gupta told IANS. Another expert, Anubha Singh, gynecologist and IVF Expert at Shantah IVF Centre, said that "egg freezing is not a normal procedure like IVF or surrogacy, but if you are an individual and you don't need any family member's approval, you can definitely go for this". The procedure, however, has caught the people's attention here in the past two to three years. Singh said it was in 2014 when technology conglomerates Apple and Facebook announced that they will pay for the egg freezing process of their women employees. "They took the decision to attract more female employees and maintain their retention rates so that they may have prolonged careers," said Singh. Internationally, egg freezing is a route that Hollywood celebrities like Sofia Vergara and Kim Kardashain have taken. And in India, Diana has set an example. Is the method more popular among celebrities than commoners? "Egg freezing is a costly affair and is mostly taken up by high-profile people," Gupta said. The costs of preserving eggs is very high. In India, freezing embryos costs Rs.10,000 to Rs.15,000 per month, and the frozen embryo transfer cycle costs Rs.100,000 to Rs.200,000 per cycle. Embryo transfer is the main part of the IVF process - and it usually takes 10 to 15 days to be injected in a woman's womb. Thus, egg freezing is mostly popular among Page 3 celebrities or among people with higher spending powers, Gupta added. "Many couples who work for IT firms, BPOs and in management backgrounds are busy with their careers and delay the baby-making process, thereby, giving them a reason to opt for freezing their sperms or eggs. Besides a prosperous career, the uncertainty of marriage and fear of infertility are two other major factors contributing to this trend (of increasing queries on egg-freezing)," she said. But before taking a decision, be aware that egg freezing isn't a sureshot guarantee of pregnancy. "First of all, the success rate of egg freezing is not 100 percent as chances of viable pregnancies are only 30 to 35 percent. You just can't freeze your eggs once, sit back and relax. Even if you freeze your eggs at an early age, you have to get your IVF cycle done before you turn 45-years-old. "So, limitations are always there," Aanchal Aggarwal, IVF specialist at the BL Kapur Memorial Hospital, told IANS. In Britain, 18,000 eggs were frozen till 2012. Of these, only 580 embryos were formed, eventually generating only 20 live births, according to an earlier report. "So, you can clearly notice that the difference between the ratio of eggs which is 18,000 and live births which is only 20," said Singh, adding: "It is best if you freeze embryos (combination of eggs and sperm) rather than eggs. The cost of freezing embryos is the same as the cost of freezing eggs, but freezing embryos is more result-oriented in comparison." Really great post thanks for sharing with us. To know the full IVF Cost India you need to follow the link and visit our website. Congrats and a debt of gratitude is in order for sharing your experience. Ripeness issues can be dealt with through IVF. Counsel Best IVF Clinic in Delhi for knowing the best medicines and every one of your answers. To get the best and a wide range of IVF treatments at the best IVF Centre in India. We provide the best and trustworthy infertility treatments like IUI, ICSI, IVF, blocked fallopian tube, laser assisted hatching, infertility workup, test tube baby and much more. Nice blog. Thank you for sharing. We are offering the similar services like infertility treatment cost in india , icsi hyderabad.For more details please visit our website. IVF is advanced technique to treat infertility in India. The cost of IVF in india is comparatively low than the western side. Top 10 IVF Clinic in delhi presently turns into the main decision of numerous global couples not just they are putting forth the IVF Process Delhi yet in addition the sort of administrations they are putting forth to their patients. Congratulations & thanks for sharing your experience. Fertility problems can be treated through IVF. Consult Best IVF clinic in Delhi for knowing the best treatments and all your solutions. Usually a gyneacologist and IVF Expert can treat any kind of infertility problem in woman or men. We are proven to be the best IVF Clinic in North India. So you shall come to Rana IVF in Ludhiana for Infertility Treatments. Nice blog. NU Fertility is providing excellent services for them who want to planning for a baby. I love to read this article, very nice information you shared here. IVF (In Vitro Fertilization) is also know as "test tube baby". Couples who are facing the infertility problems and want the perfect solution now they can directly book their appointment with Eva Hospital. We are the best IVF Centre in Punjab that provide you best and low cost treatment with advanced techniques. Surrogacy is a way through which the couples can become parents by taking the help of a surrogate mother also known as the carrier. The intended woman is responsible for nurturing the baby for nine months and then delivering it to the parents. Surrogacy in India has become legal now but there are strict rules and regulations associated with it. That is why it becomes all the more important to ensure that all rules are strictly followed. Even the clinics you go for should be reputed and abide by the conditions and laws laid down by the government. Couples who are facing the infertility problems and want the perfect solution now they can directly book their appointment with Rana Hospital in Ludhiana. Excellent blog very nice and unique information about IVF Accepted in India, but Egg Freezing Yet to Gain Approval. Thanks for sharing this information. Hi,the information given are usefull for the couples who are taking infertility treatement.I hope you will share some other useful information to us regarding infertility treatment. IVF centre in Nepal functions in a very effective and fruitful way using the various IVF techniques. IVF clinic centre in Nepal includes excellent manpower to make your dream successful which is only the motive of the clinics situated in Nepal. I've read your advice and your suggestions which you've shared with us. You giving us this kind of fantastic details and made a website. Thank you for sharing the very best and helpful tips they really nice and really help us. This is really interesting one ! All the points which you have covered is really useful. Now a days there is much awareness about ivf even in peripheries about IVF treatment in India. If you are looking to become a parent through IVF then first know these 10 things. If you are going to treat IVF or you are taking IVF treatment then you should know about 10 things related to IVF treatment. I will Tell you of all the things that will help you. Fantastic and useful blog thanks for publishing this. it's useful and informative. keep up the great. Cm hospital Fertility Centre in Chennai will let you to know more and more risk during the multiple pregnancies. You also about to give concern and care over the twin over which the guidelines been provided to the women which could help them to serve their baby. Very nice blog !! Thank you author for sharing such a wonderful content. If someone is looking for the best IVF Treatment in India, then contact us at EVA Hospital for the affordable priced infertility treatments. Well done. I am very impressed with your site.I am very glad to read this wonderful article which helps people with great info about male & female fertility. Keep it up. In India treatment best Ivf doctor in raipur to avail this. Nice blog about ivf. know more information about surrogacy agency in mexico. 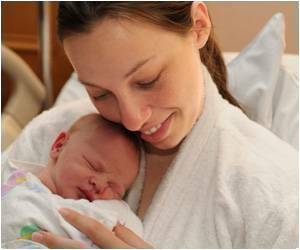 If anyone wants the best results for IVF Treatment then must contact GCR Memorial Hospital, the Best IVF Centre in Moga where you can get the proficient team of doctors who are providing the best IVF Treatment at a very low-cost. Visit the link to get more information. Yes, that is the reason that some patients are taking illegal routes to get their job done. But in the long run India must legalize this but definitely after strict procedure. Thanks for realizing and sharing the same information with us. May God bless you. I really love to read this blog.. Yes, You are right that IVF with Embryo Freezing has higher success rate as compare to IVF with egg freezing. The cost of both treatment is less in India. Such a wonderful blog about IVF Accepted in India, but Egg Freezing Yet to Gain Approval. Many people get benefited after reading this blog. Today most of us facing this type of vital health problem. To get more information please visit Genome Raipur best fertility clinic in Raipur.